Morikazu Kumagai (1880-1977) was a key figure in Japanese modern art, known for his colourful paintings of nature and animals. Mori, The Artist’s Habitat imagines one day in the life of the reclusive artist during his twilight years. Aged 94, he maintains his decades-long daily routine of carefully exploring his lush garden – paying close attention to the insects, plants and animals as he seeks inspiration for his painting. 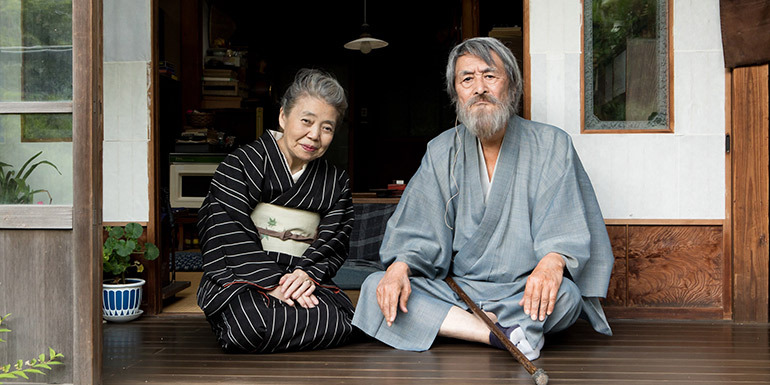 The day also sees Morikazu and his wife Hideko welcome a steady stream of visitors into their home. While many are well-wishers, a few have other priorities – including a developer building a nearby apartment block that’s set to block the sunlight of the artist’s beautiful garden. This delightfully understated, laid-back film is a refreshing change of pace from your typical artist biopic. Writer/director Shuichi Okita (The Woodsman and The Rain, The Story of Yonosuke) lovingly captures the motivations and process of Morikazu. While short on plot, the film thoughtfully reflects on how Morikazu’s quiet way-of-life is under threat from a rapidly developing Japan just beyond his garden walls. It also boasts one of the final performances from the late, great Kirin Kiki (Still Walking, Sweet Bean, Shoplifters), who sadly passed away in September 2018. Standard ticket prices apply or get a season ticket to see all five films for €35 full price / €30 for annual membership holders.